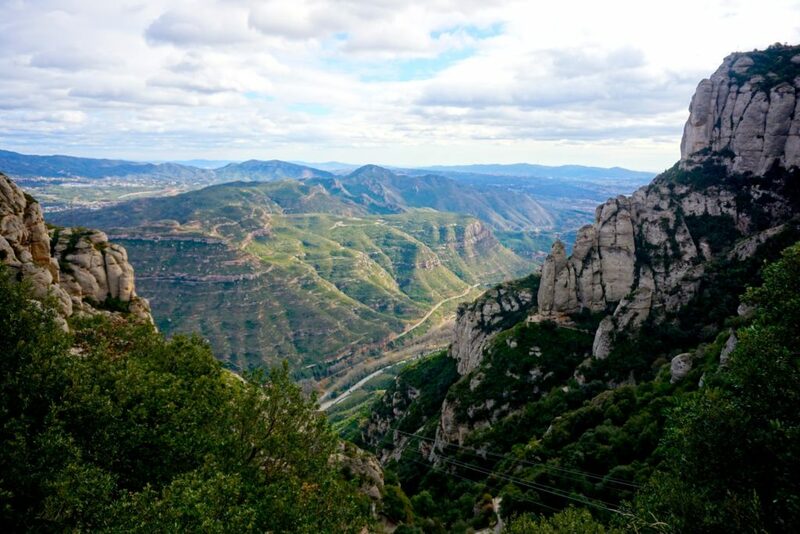 Before the temperature heats up too much for summertime and thoughts turn to the beach, places like Montserrat make an ideal day trip from Barcelona. 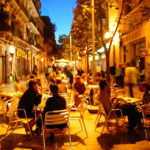 The views from this beautiful and unusual mountain are simply phenomenal and make it one of Barcelona’s most quirky and striking landmarks. The summit of Montserrat is called Sant Jeroni (Saint Jerome) and stands at 1,236 meters (4,055 feet.) Offering something for everyone, a variety of hiking trails with scenic lookouts as well as tours of the monastery and in particular the Madonna. We highly recommend Montserrat as a day trip. Try to get there early to take advantage of clear skies and to ensure that you visit most places. With impressive mountain ranges, precious natural wonders and amazing views it’s a perfect way to escape from the city for a day. The monastery has a history that dates back to 1025 when pilgrims would travel to kiss the wooden sculpture of La Moreneta (black virgin). The journey from Barcelona to the mountain is an adventure itself, especially for children as it involves a rack railway or a cable car. The panoramic scenes that can be seen, particularly on a cloud-free day are simply spectacular. 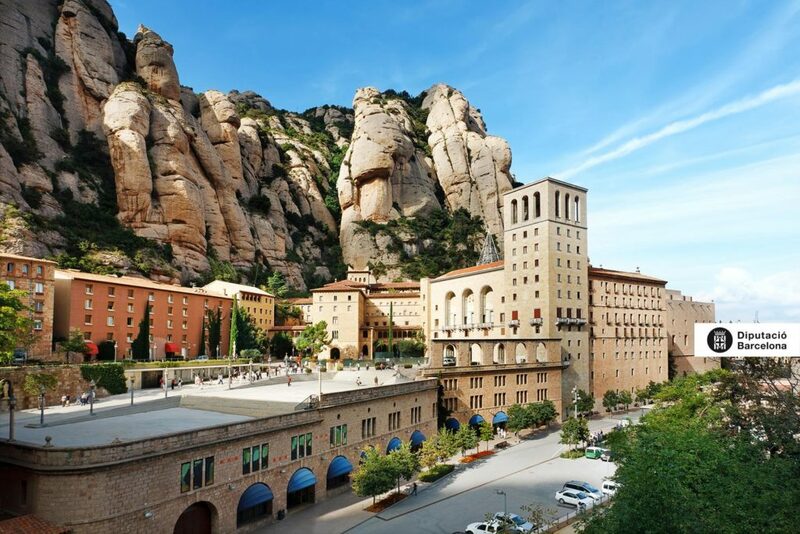 The train from Placa Espanya station takes you to the foot of Montserrat mountain, where you have two options to get to the Monastery. You can either take the Cable car (Aeri ticket version) or Cremallera Funicular (Cremallera ticket version). 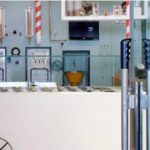 You will need to decide by which method you would like to arrive and purchase the correct ticket and exit at the corresponding station accordingly. 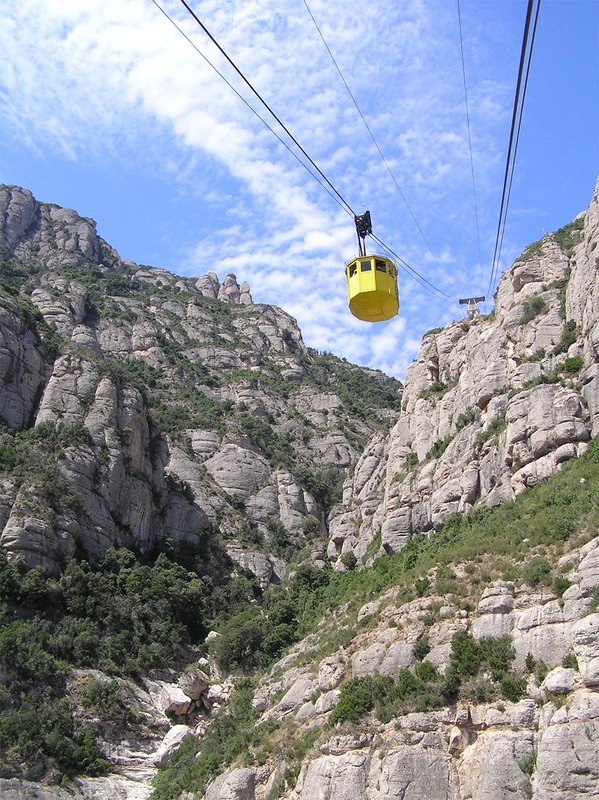 For the cable car, get off at Montserrat Aeri. 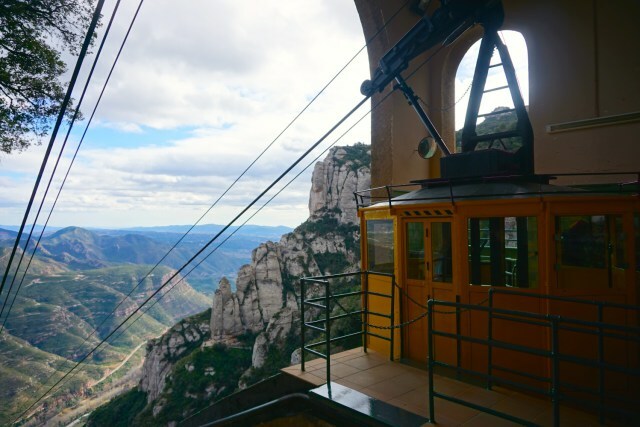 For the rack railway, get off at Monistrol de Montserrat. Happy travels!